GERMANY, Undisclosed Location — Based on breaking news and events, it appears that CIA Headquarters located beneath CERN at Lake Geneva in Switzerland is plotting a North Korean Nuclear EMP (electromagnetic pulse) attack on the United States of America on April 10, 2019, likely resulting in a prolonged electrical blackout. In order to highlight North Korea’s missile and nuclear capabilities on a global level just prior to a made-for-TV Nuclear EMP attack over America soil, the CIA staged a summit in Hanoi, Vietnam, between North Korean Dictator King Jong-Un and U.S. President Donald Trump in Vietnam back on February 27-28, 2019. In order to foreshadow a North Korean Nuclear EMP attack on the United States surrounding the aforementioned summit between Jong-Un and Trump, the official logo for said summit contains the capital letters ‘DPRK-USA‘ which is exactly one letter off from the term ‘DRK-USA’ as in ‘DARK-USA’. A coincidence? Not a chance. Exactly how the impending Nuclear EMP (electromagnetic pulse) attack on America will transpire is not known, but it appears that the CIA will claim that the nuclear missile responsible was launched by the rouge North Korean submarine which disappeared from U.S. military radar back on March 11, 2016. In order to sell the fraudulent notion that North Korean Nuclear EMP attack was the result of a North Korean submarine-based launch just prior its fruition in reality, it was reported on February 24, 2019, that Iran successfully launched a cruise missile from its submarine during a drill in the Persian Gulf. Although the impending nuclear EMP attack on America and subsequent blackout will be blamed on a rogue missile strike, in reality U.S. electricity companies (at the behest of the CIA) will just turn off the power at the same time that the nuclear missile explodes, causing people to believe the two events are connected. In what appears to be a preview of things to come, Forbes published a report on October 23, 2017, entitled, ‘North Korean EMP Attack Would Cause Mass U.S. Starvation, Says Congressional Report‘ which revealed that a North Korean electromagnetic pulse (EMP) attack on America would ‘ultimately wipe out 90% of the population’. Back on September 7, 2017, former United States Ambassador to the United Nations John Bolton warned against a potential electromagnetic pulse (EMP) attack from North Korea claiming that Jong-Un was an absolute ‘threat’ and therefore suggested taking military action against the North Korean capital of Pyongyang. Lastly, the notion that the entire North Korean nuclear attack on America narrative is a colossal hoax specifically designed to trigger World War III was confirmed, albeit in a de facto manner back on March 29, 2014, when a United Nations report revealed that U.K. and U.S. parts were found within North Korean nuclear rockets. Prior to executing an alleged North Korean nuclear attack on the United States, the CIA must establish a believable narrative through their governments and media platforms that North Korea has an active nuclear weapons program. For example, on April 4, 2014, North Korea told the world “wait and see” about its latest nuclear test. Roughly a month later on May 10, 2014, North Korea threatened to conduct a “counter-measure” nuclear test. A few months later on July 28, 2014, North Korea threatened a nuclear strike on White House, showing that they are planning to attack while Obama is in office. Lastly, on September 23, 2014, it was reported that North Korea is developing new missiles capable of carrying tactical nuclear warheads. Needless to say, these reports, taken collectively, suggest that an unprecedented nuclear attack by North Korea is imminent. As evidenced, North Korea has continued their nuclear tests regardless of the sanctions imposed by the United Nations. With each passing nuclear test, the respective yield of the test jumps considerably higher. Therefore, the 4th nuclear test (or the 1st nuclear attack) by North Korea should yield somewhere in the neighborhood of 25-40 kilotons of TNT, an amount on par with Pakistan’s nuclear program. According to physicists who testified before a U.S. Congressional hearing on October 7, 1999, nuclear weapons with yields of 10 kilotons or less can produce a large EMP capable of destroying the electrical grid. Shortly after the mysterious death of North Korean President Kim Jong-il on August 24, 2012, his son, Kim Jong-un was placed into power. Since then, Jong-un has been routinely portrayed in the media as being mentally unstable, highly insecure, and willing to attack anyone at a moment’s notice. Not surprisingly, Kim Jong-un exhibits all the telltale signs of being brainwashed and under state-sponsored mind-control. Jong-un was reportedly spotted with his “handler” on numerous occasions while attending a “private school” in Switzerland, home of the CIA. According to Wikipedia, “mind control” was first developed in Korea during the Korean War and involves a process in which a group or individual “systematically uses unethically manipulative methods to persuade others to conform to the wishes of the manipulator(s), often to the detriment of the person being manipulated”. Needless to say, Un is a patsy of the CIA who holds no real power. Like his father, he will be assassinated once he fulfills his respective mission which evidently consists of an unprovoked attack nuclear EMP attack on the United States. 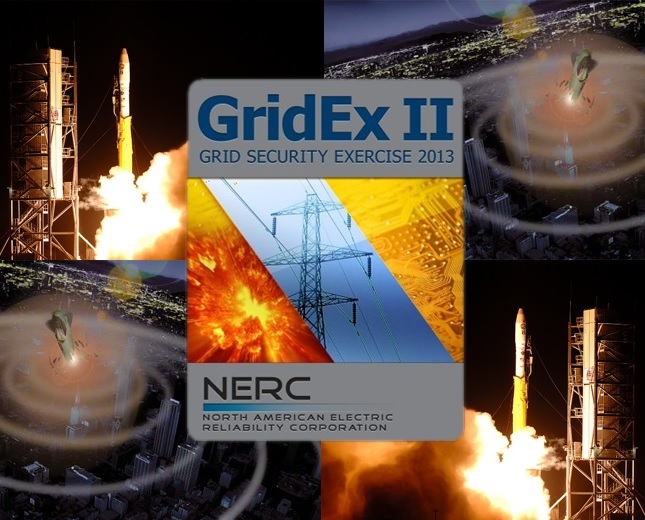 The U.S. Department of Homeland Security report from October 9, 2018, entitled, ‘Strategy for Protecting and Preparing the Homeland Against Threats of Electromagnetic Pulse and Geomagnetic Disturbances‘ warns that an Nuclear EMP attack is imminent, stating that, ‘An intentional electromagnetic pulse (EMP) attack or a naturally occurring geomagnetic disturbance…could damage significant portions of the Nation’s critical infrastructure, including the electrical grid, communications equipment, water and wastewater systems, and transportation modes…Extreme electromagnetic incidents caused by an intentional electromagnetic pulse (EMP) attack or a naturally occurring geomagnetic disturbance (GMD, also referred to as “space weather”) could damage significant portions of the Nation’s critical infrastructure, including the electrical grid, communications equipment, water and wastewater systems, and transportation modes. The impacts are likely to cascade, initially compromising one or more critical infrastructure sectors, spilling over into additional sectors, and expanding beyond the initial geographic regions. EMPs are associated with intentional attacks using high-altitude nuclear detonations, specialized conventional munitions, or non-nuclear directed energy devices. Effects vary in scale from highly local to regional to continental, depending upon the specific characteristics of the weapon and the attack profile. High-altitude electromagnetic pulse attacks (HEMP) using nuclear weapons are of most concern because they may permanently damage or disable large sections of the national electric grid and other critical infrastructure control systems’.